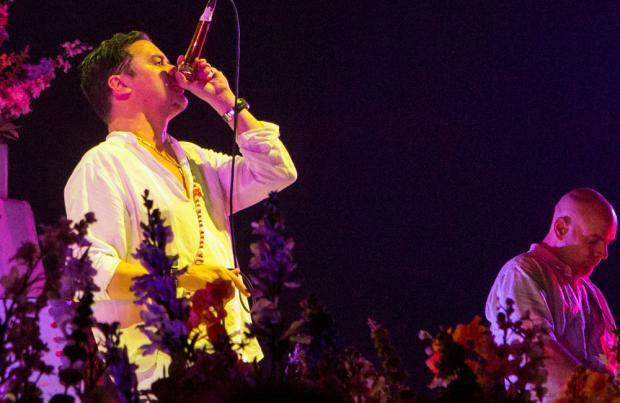 Faith No More bassist Billy Gould has spoken about the first time he heard the band were getting back together and admitted his first reaction was "someone needs money"
Faith No More's bassist Billy Gould initially thought the band reunited because "someone needs money". The heavy metal band were adamant they didn't want to reform for years, but after frontman Mike Patton and drummer Mike Bordin attended keyboard player Roddy Botum's wedding, they suddenly changed their minds. Remembering what he initially thought when he was first told of the plans, the 52-year-old rocker told Metal Hammer magazine: "The first thing that comes to mind with something like that is, 'Someone needs money.' I had a very negative gut feeling about it. But when you're apart you remember the bad things - when you're together, you remember the good things. I found out they were all hanging out, and I thought that was a little weird." When the band met in 2009 for the first time since 1999, despite his earlier negativity about the idea of a reunion, Billy admitted meeting up with his colleagues over lunch was a "pleasant" experience, something he wasn't expecting. Talking about their first meeting in years, he said: "I just thought, 'I've got nothing to lose.' It was the first time we'd all been in the same room since 1999. It was much more pleasant than I thought it would be. Being in the room and laughing and telling stories and stuff - it was nice reconnecting." The band have since released new LP 'Sol Invictus' this month and are set to play at Download music festival in the UK in June.